Every web site needs advertising! With the help from our affiliates we drive a lot of traffic to our ad boxes, like the one on the left side of this page. 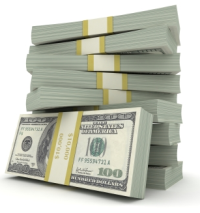 You do not need to bid for top spots nor loose big amounts of money each time someone clicks on your ad. 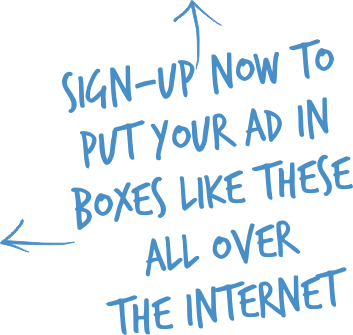 Your ad will be randomly placed in boxes all across the Internet. Look how the ads get noticed! They draw your attention, unlike static ads that just sit there. But if you simply move your cursor over them, they stop moving so you can click them. Submit up to 5 different ads to be rotated. We now include a FREE WEBSITE with your ThoseAds.com account. This isn't a CPC (Cost Per Click) program where you earn pennies each time you get someone to click on an ad. Instead we pay you RESIDUALLY when you get people to place an ad on our network. Become an affiliate and earn 50% of your referrals fees. You can earn a residual income each month as they continue to pay each month. Our minimum payout is $8, so you do not need to wait a long time to accumilate money before we payout. We even help you get started by giving you hundreds of places to advertise in the member's area. ANY AND ALL CLAIMS OR REPRESENTATIONS AS TO INCOME EARNINGS USING THOSEADS.COM ARE TO BE CONSIDERED EXCEPTIONAL RESULTS AND NOT AVERAGE EARNINGS. YOUR INDIVIDUAL RESULTS MAY VARY. THERE IS NO GUARANTEE THAT YOU WILL EARN ANY MONEY USING THOSEADS.COM. THOSEADS.COM DOES NOT GUARANTEE (NEITHER DIRECT NO IMPLIED) ANY INCOME BY USING THOSEADS.COM. EARNINGS ARE BASED ON YOUR EFFORTS AND THE EFFORTS OF OTHER PEOPLE ON LEVELS UNDER YOU.